ANDERSON, SC (courtesy Barry Ray, andersonuniversity.com) — Dr. Beverly Rice McAdams has been named to the new position of Vice President for Diversity at Anderson University according to University President Dr. Evans Whitaker. In her new role, McAdams will provide leadership to the ongoing institutional focus on enhancing diversity within the ranks of the staff, faculty and student body at AU, broadening the racial and ethnic makeup of the campus community. Dr. McAdams joined Anderson University in June of 2002 as Director of Freshman Programs and Community Service. She was later promoted to Associate Dean of Student Development, and then to Associate Vice President for Student Development. Prior to AU, she was Director of Counseling at Tri-County Technical College and also served as an academic advisor and admission counselor. 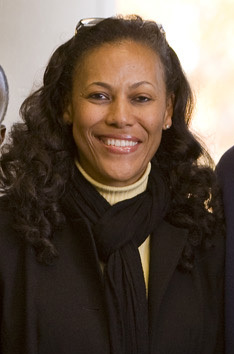 At Erskine College, she had roles in financial development and admissions. Early in her career, she was a congressional aide to former Congressman Butler Derrick who served from 1975 to 1995 as a member of the U. S. House of Representatives representing South Carolina’s Third Congressional District. Dr. McAdams holds a B. A. in English from Erskine College, and an M. Ed. in counseling and guidance services and a Ph.D. in educational leadership from Clemson University.